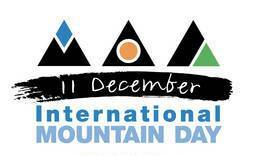 December 11, International Mountain Day was designated by the United Nations General Assembly in 2003. The General Assembly encouraged the international community to organize events at all levels on that day to highlight the importance of sustainable mountain development. International Mountain Day is observed every year with a different theme relevant to sustainable mountain development. FAO is the UN organization mandated to lead observance of International Mountain Day. Mountain areas cover approximately 26% of the Earth’s surface and are the important source of water, energy and biodiversity. In addition, they have valuable resources such as minerals, forest and agricultural products, and also offer opportunities for green tourism. Being one of the largest ecosystems, mountains are important for the survival of the global ecosystem.